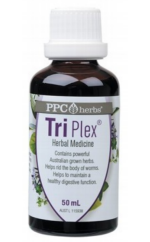 Tri Plex is offered as a traditionally used herbal medicine to help rid the body of worms and help to maintain a healthy digestive system and digestive function. 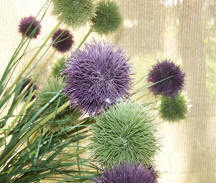 Tri Plex contains traditionally used Australian grown herbs for parasite defence. Tri Plex helps rid the body of worms and also helps to maintain a healthy digestive function. First week: Take 10 drops, 3 times a day before meals, in water or juice. Second week: Take 20 drops 3 times a day. Third week and for a maintenance dose from then onwards: Take 30 drops 3 times a week only. For example, take 30 drops on Monday, 30 drops on Wednesday and 30 drops on Friday.